Well, election season is already upon us in Springboro. With 3 of the 5 school board seats up for vote and the seat of our current school board President up for grabs, the stakes are high and thus the rhetoric has begun. I have been watching with a mix of amusement and sadness as our current school board members try to spin and backpedal from the events of the past year and attempt to absolve responsibility for the complete and total chaos they have created in our community. Just in time for campaigning, they talk about truth, transparency, unity, and the confidence they have built in Springboro, as if by simply saying those words they are somehow supposed to be true? I don’t know anyone who associates those words with these people. They write about how they don’t understand why people in our community don’t trust them, don’t appreciate them, and don’t believe in them. They talk about the direction they have taken our district and their wonderful, amazing, incredible leadership of our schools. Are they kidding? Sadly, I don’t think they are, and even worse, I think some people actually believe this fiction as fact. Based on the school board’s recent Constitution Day debacle, we all know they love revisionist history, but the bounds of their ability to mislead and deceive with such ease still continues to astound me. I will give them credit for one thing, they can distort fact like no group of people I have ever encountered – in this category they get an A+. Watching history be retold and revised in real time is interesting, frightening, and angering. I watch as the Springboro School Board takes great pain to pat itself on the back in news releases and blog posts and simultaneously bemoans the fact that the people of Springboro are not elated with the fact that they have accomplished some of the most basic functions of their job by making sure our kids can get to school and that when they get there they will have basic educational materials. Wow! That puts them on par with basically every other functional district in the state. Nice but not exactly noteworthy. Congratulations for doing the minimum requirements of your job, which if the story stopped there would be actually be great. No, the story they tell is entirely half baked, filled with half truths, and all politics as usual. Do they think we have forgotten that we have had record numbers of teachers, principals, and administrators leave in the past year? Do they think we have forgotten the countless school board meetings filled with parents expressing concern, anger, and frustration with the leadership of this board, only to have these board members sit with ears closed and eyes fixed on their ipads or to have our school board President simply throw parents out of school board meetings entirely? Do they think we have forgotten those who were not thrown out of school board meetings for going off topic? Do they think we have forgotten the regular stream of bad publicity and negative media coverage bestowed on our schools as a result of the divisive policies and overt political actions of this school board. Do they think we have forgotten having our teachers pushed to the brink of a strike for what now seems to be purely political reasons? With only a two year contract in place, do they think we are not smart enough to see that we will soon be headed down that path again if this board retains a majority? Do they think we have forgotten that our tax dollars are being spent on pending litigation for unfair hiring practices, which are accompanied by some pretty damning comments about the views of our school board President as they pertain to parents and teachers in this district? In the current Springboro School Board, we have a group of people whose primary accomplishment has been the unnecessary and unwanted manufacturing of complete and total chaos for our kids and our community. This group of “leaders” has consistently demanded that the spotlight be put squarely on their political agenda instead of on the future our children. Instead of looking at strengthening our curriculum and supporting our teachers, they pushed for charter schools, advocated for arming our teachers with guns, endorsed radical religious ideologies, and have tried to implement twisted political courses. Instead of showcasing the substantial accomplishments of our teachers, children, and parents, this board wants to be given all the credit for the work of others. Instead of crediting the current financial situation to the happenstance of having two pipelines in our district that may yield an as yet to be determined amount of revenue for our schools, this board seems intent on claiming that balancing a budget is some miracle of their own personal financial wizardry. Instead of operating quietly as a governing body and ensuring that the employees of the district are performing at their best, this board has chosen to overstretch its authority and micromanage this district to the point of dysfunction. Instead of listening to the concerns of parents, they shout them down, silence them, label them, and dismiss them entirely, as is evidenced by our school board president and her comments on YouTube about just blankly smiling, nodding her head and sending those who disagree with her on their merry way instead of actually listening. Instead of spending our tax dollars wisely, this board has racked up attorney fees through its reckless behavior and shameless actions. Instead of telling the truth about what they have accomplished, they tell stories that spin reality in a such a perverse and ridiculous way that you would think that the events of the past year just never happened, and believe that if they can save you a hundred bucks through their actions that it does not matter what they do – morals, ethics, and principles be damned. This board is more interested in playing politics than ensuring the long term success and stability of our schools. Look at the school levy reduction they just proposed. One board member described the levy reduction, which is clearly a shrewd political tactic to try to buy redemption from voters, like buying a car – asking if the payment is lower than you thought why would you question it? Well, this illustrates one of the oldest tricks in the “used car salesman’s guide to making the sale,” which is that people will often buy on payment and disregard the long term impact of the structure of the deal. Any car salesman worth his salt can lower your payment by mortgaging your future. You see, it’s pretty easy to drop your payment from $300 to $250 by not paying attention to the dynamics of finance. This is why people finance cars for 6 and 7 years, but think they get a “great deal.” Sounds great now, but down the road it will likely cause regret. Yes it is great to lower property tax, but is it at the expense of the quality of the schools? Is it affordable and sustainable based on what we currently know about the stability of the revenue that is supposed to replace it? Is it wise to cut funding to the bone at a time when we should be investing in the future sustainability of our schools? Is it wise to take speculative risks with the funding of our schools when we are already an outlier on the low end of spending per pupil? Has the due diligence been done to ensure that these levy alternatives are actually viable? (In the direction of transparency, it would great to see the calculus that went into this decision.) Is it wise to believe that we as a community can have great schools without paying for them? Unfortunately, that ship has sailed, and we are now going to need to pass the levy with the reduced dollar amount and hope for the best. Should that ship run aground, I suppose it won’t have a big impact on those who are not fully vested in the school district, so maybe the impact of such decisions was lost on most of our school leaders. This is just another example of them saying one thing (conservative financial approach) and actually doing something else (reckless political pandering.) I will vote for this levy and hope for the best. For the record, planning on wild speculation and hoping for the best is not what I call a conservative approach to finance. This school board has created controversy after controversy after controversy. They have made our community into a national example of what can go wrong when government power is unchecked. They have taken our district in the wrong direction, and if allowed to continue that direction will lead us into destruction and despair. They speak of direction, but the direction they have chosen is one that leads our community into the abyss. 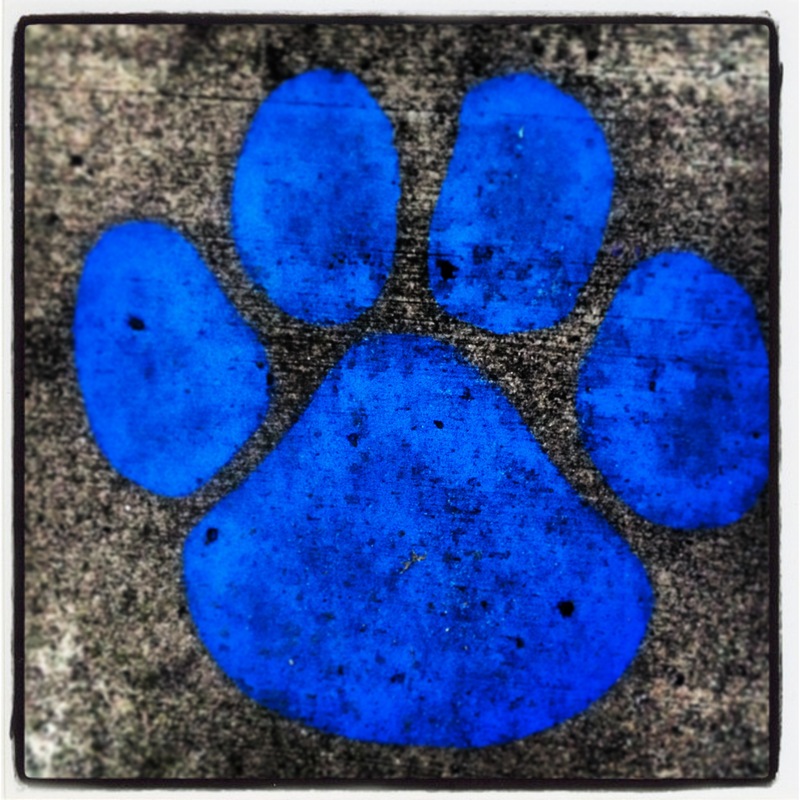 If you believe that the past year has been a great one for our schools, a year that saw the reputation of our schools strengthen, a year that brightened the future of our children, a year that made you proud to say you are from Springboro, than by all means vote to continue on in this direction. If you believe that divisive politics, guns in classrooms, charter schools, creationism, attorney fees, bad media coverage, poor employee relations, and diminishing academic options are great for our children, will increase our property values, and will make our town a place people will increasingly want to call home, vote to continue in this direction. Respectfully, I believe that the time has come for us to embark on heading in a new direction – a direction that places common sense and the common interests of our community in securing the future of schools above personal political aspirations. A direction that considers all views and balances fiscal responsibility with sustainable academic quality. A direction that restores meaning in the phrase Boro Pride. A direction that is based in principles, morals, and ethics and not the notion that the end justifies the means when it comes to the future of our children. While we can’t reclaim all five seats on this board in November, taking back three of them will put balance and stability in place and restore some semblance of sanity to our schools and community. With two minority seats retained, the remaining board members can still have their voice heard, still have financial input, still bring issues to the table, but will not have the absolute, unchecked authority that has run amuck in our community over the past year. We need diversity of perspective, not lockstep adherence to political goals and objectives that are not in the best interests of our children. We need trust, respect, and honesty – three traits which I children should embrace and which can not be used to describe the current majority of our schools board. It is my view that there is one and only one direction that our current Springboro School Board President should be shown this November and that direction is OUT! Filed Under: education // Tagged: Education, springboro, Springboro School Board, springboro schools.